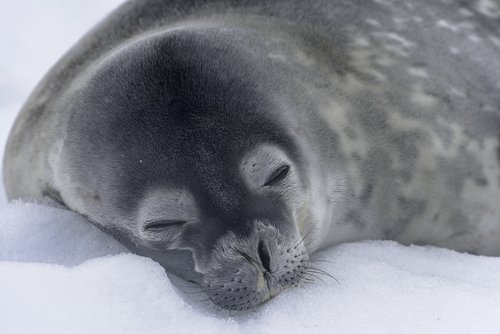 Return to search: Antarctica, Sea Spirit. The Sea Spirit has remarkably comfortable accommodation and offers a visit to the Polar Regions in grand style. All the spacious suites have private ensuite facilities and offer exterior views. 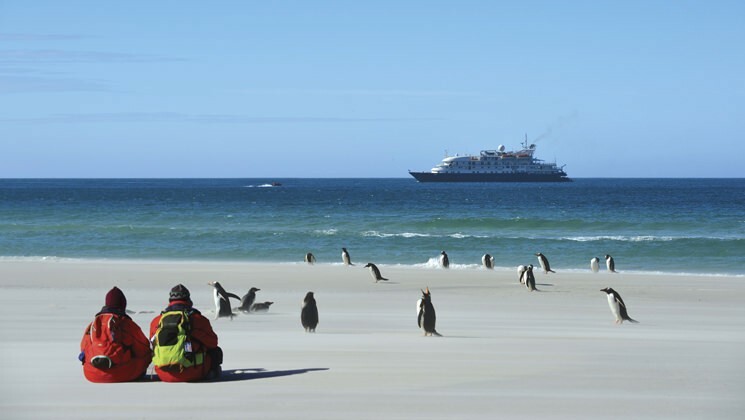 The Deluxe Suites, Premium Suites and the Owner’s Suite have private balconies; for viewing the breathtaking landscapes of Antarctica, South Georgia and the Falkland Islands (Malvinas). Carrying a maximum of 114 passengers, this outstanding vessel, approved for polar waters, features rubber zodiacs – for both shore transfers and cruising. Additionally, kayaking and camping options are available on select departures. Each ship will offer a slightly different cruise itinerary which may include a flight sector or pre embarkation accommodation. 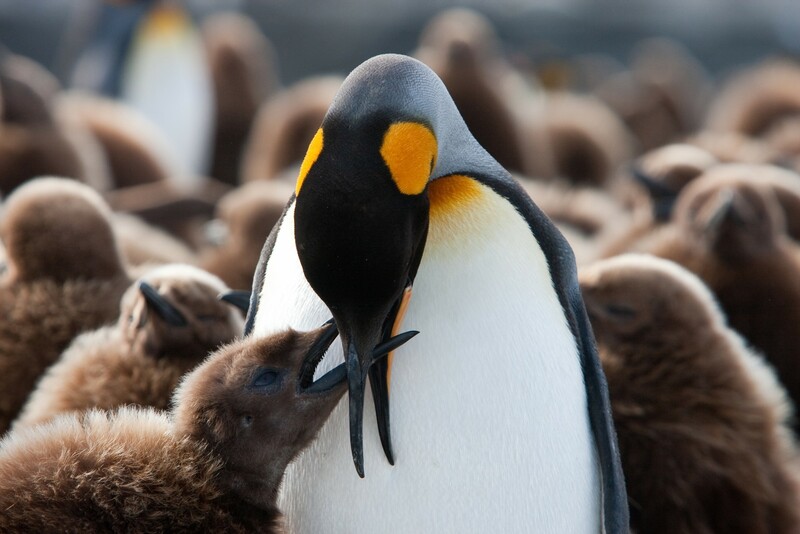 Itineraries vary in duration, additional or less time being spent in the Antarctic Peninsula. 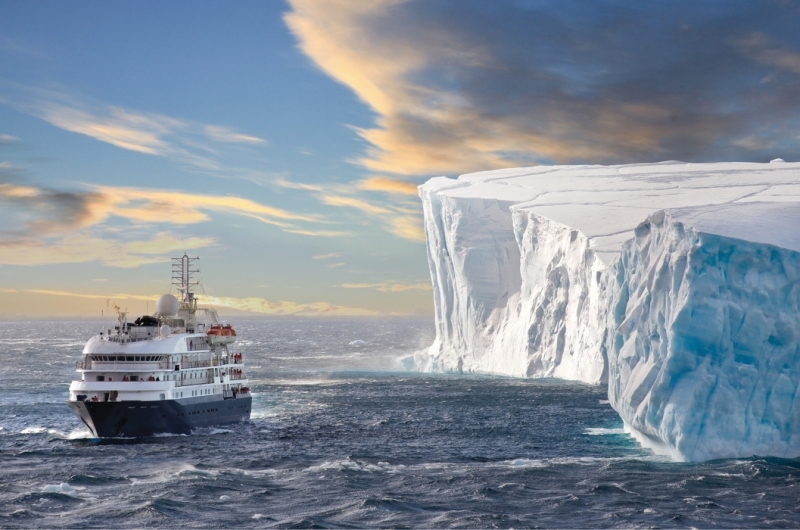 All voyages are expeditions and are dependent on local weather and ice conditions. On arrival you will be met and transferred to your HOTEL. The rest of your day is at leisure to explore Ushuaia.